Over on Last.fm, Marybeth d’Amico put up a very short journal last week. Don’t know how soon Marfa (TX) Public Radio will cycle to a new interview, but go listen to this now. Grab it, give it a quick go, savor it, come back to it later and immerse yourself in this glimpse into an artist’s soul. I immediately fell in love with Patty Griffin from her first acoustic album. On the other hand I’ve been slow to warm up to the merits of Tift–unlike many one-hit wonders, I’m actually appreciating her talents more as she matures as an artist. Ms. Griffin has branched out into more pop-oriented ventures and well, maybe the older and younger edges of what I consider my generation are converging here. Thank’s for the lead, Marybeth! Good luck at your show tonight. Most Top Albums lists concentrate on New Music released that year. I would, too, but I’m not. For one, I discovered a good bit of old music via lost.fm this year’s that’s still new to me. I also finished up my exercise to listen thru all the CDs in my music library. Again, a good deal of my old music is new to my digital ears. There’s also the fact that last.fm got the scrobble-thing to work to track iPod tracks on synch, so that more accurately reflects my listening habits for the year. Mostly, tho, is the fact I was broke and was more judicious in my new music purchases this year—part of that 20% decline in CD sales this year. Doing my part for fiscal discipline. Plus now four years gone from my DJ gig, the world goes on and they’re not sending me many comp CDs to review. Just saying. 1. Alison Krauss / Alison Krauss & Union Station – Alison continues to rock my world, even tho I don’t really “get” her collaboration with Robert Plant (and I’m a Zep head, too). 2. Emmylou Harris – Again, not that I was impressed with her new release (I can’t even think of the name of the album w/o looking it up). I’ve just plain got a lot of Emmylou in my iPod, and the fact last.fm figured out how to scrobble iPod spins ups this number. 3. Dwight Yoakam – Dwight got loaded into digital at the end of the year. 4. Lyle Lovett – I did give Lyle’s 2007 release a lot of love this year, but again I’ve just plain got a lot of Lyle in my iPod. Also brings up the Alison Krauss/Union Sta issue above: I list “It’s Not Big It’s Large” as the packaging indicates: “Lyle Lovett & His Large Band” Sometimes music brainz changes one artist for the band, sometimes not. So is Lyle also Lyle Lovett & His Large Band? Maybe, maybe not. 5. Johnny Cash – The Man Comes Around. 6. 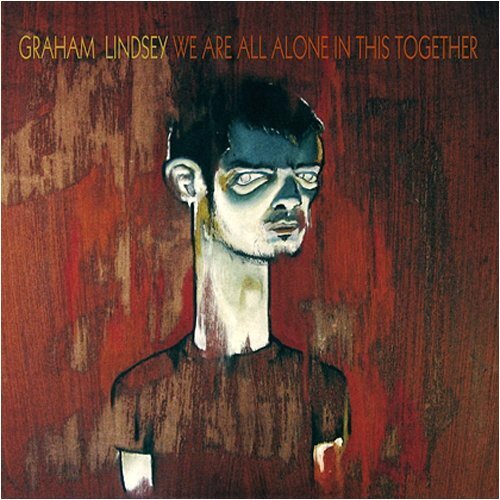 Graham Lindsey – Graham is the man. The man in Montana these days. Great new release “We Are All Alone In This Together” late late in the year, coming out for general distribution in January 2009. Hope he doesn’t get penalized by radio for the early direct mail effort. 7. Tom Russell – Still giving a lot of love to Tom after his small venue concert in St. Cloud, Minnesota. The man knows how to write a song I can relate to. 8. Cadillac Sky – A new fav late in the year thanks to Sacha72 recc. Saw them at MBOTMA summer bluegrass festival. Would drive far to see them jam again. Their first release heads up my Album list below, because I had it before the new album Gravity’s Our Enemy. 9. Townes Van Zandt – A new old favorite. I still have a lot to learn from Townes. 10. Cowboy Junkies – Old favs, reveled in Trinity Revisited over the summer. Top Albums Scrobbled in 2008. This list relies on lost.fm recognizing albums—they got A LOT better at that this year, but still have sometimes significant time lag for lesser-known new releases. Also, technically, A Very Special Acoustic Christmas is Album #3, but I’m inclined to follow radio SOP and discount holiday tracks. Not typical play. Top Tracks Scrobbled in 2008. 1. Choctaw Hayride – Had a bit of nostalgia for the theme song for my old radio show. I have no idea. Surprise me 2009. Surprise me.